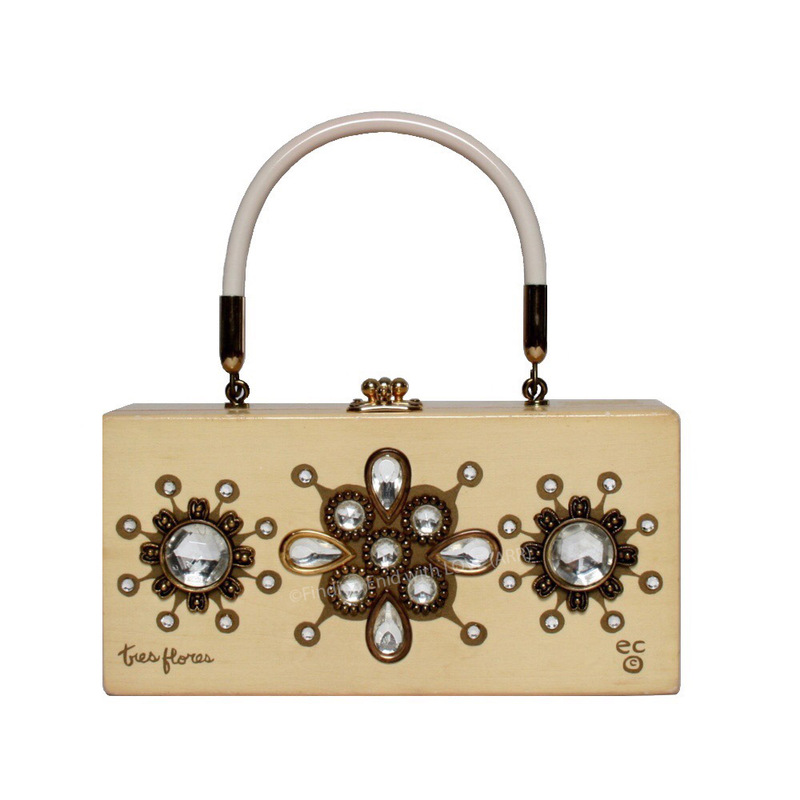 Box purse embellished with three abstract flowers depicted with metallic gold screen printing and faux crystal gems. Wood has a bleached, bone-toned finish. Ivory vinyl handle. "tres Flores" screen-printed in lower left of front panel. Undetermined. Poss. reg. no. GP68093; 05/25/1970; MEW; "Three configurations of circles"